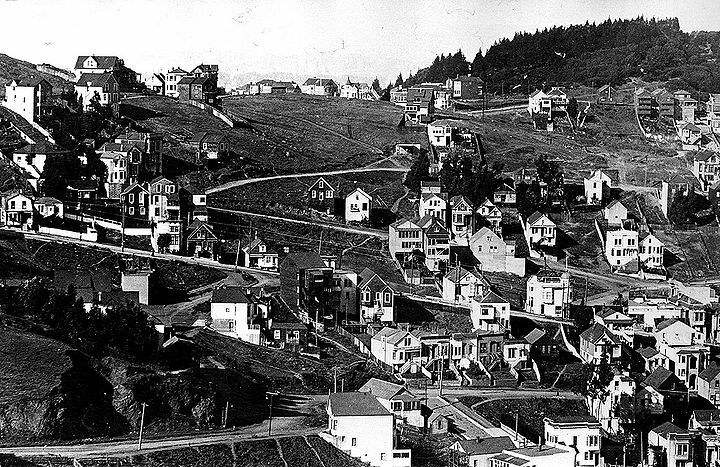 Corbett Road runs across the bottom, the curving dirt road at center left is Mars Street connecting it to 17th Street which is the straight diagonal road going uphill to the left (west), in this photo from around 1920. 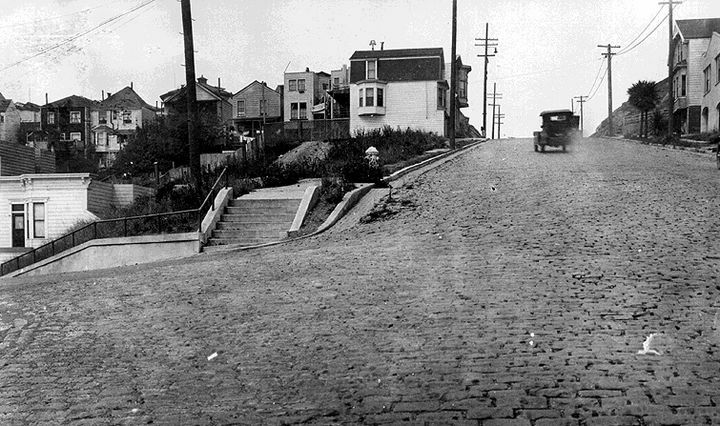 17th Street at Mars, August 10, 1926. 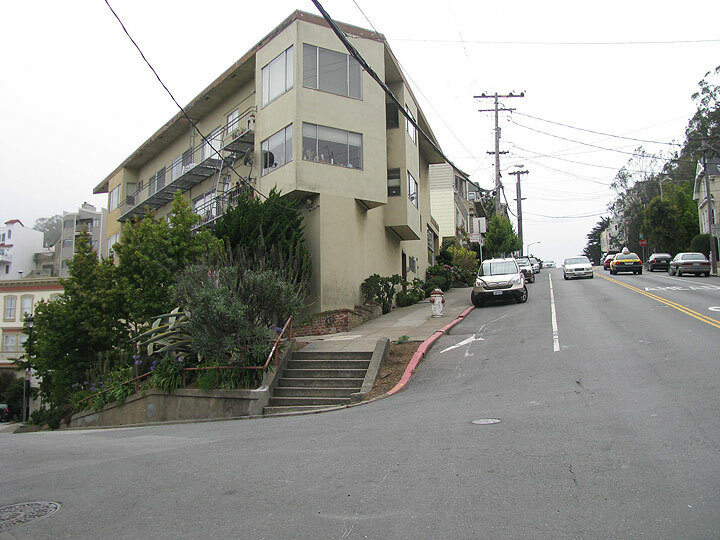 17th Street at Mars, August 1, 2009.